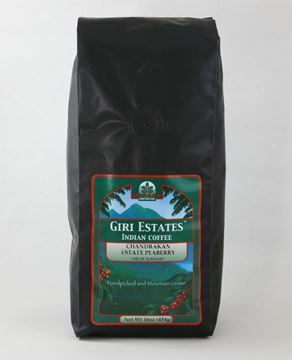 Our premium signature indian coffee, Giri Estates™ Coffee is a cuppers' delight of a mild, well-bodied, lightly flavored coffee that is delicately acidic, yet smooth tasting with a hint of sweetness. 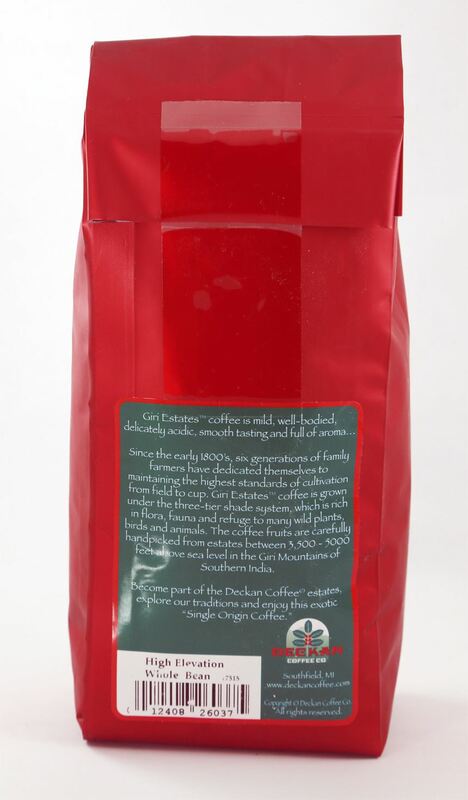 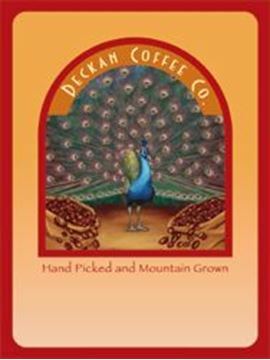 The coffee beans are grown and harvested under the shade of trees in mountainous forests, rich in bio-diversity giving refuge to birds and animals. 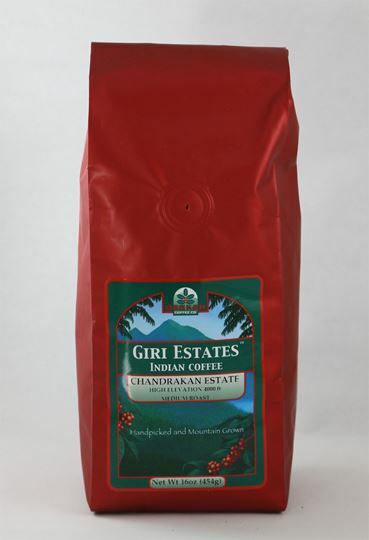 The beans are carefully handpicked from coffee estates between 3,600 to 4,600 feet above sea level in the Giri Mountains (Western Ghats) of Southern India.